Dempsey, Hugh A.. "Peguis". The Canadian Encyclopedia, 16 November 2016, Historica Canada. https://www.thecanadianencyclopedia.ca/en/article/peguis. Accessed 24 April 2019. Peguis, Saulteaux chief (b near Sault Ste Marie, Ont c 1774; d at Red River, Man 28 Sept 1864). Although a prominent leader of his own people, Peguis became famous for his role in aiding the Selkirk settlers. 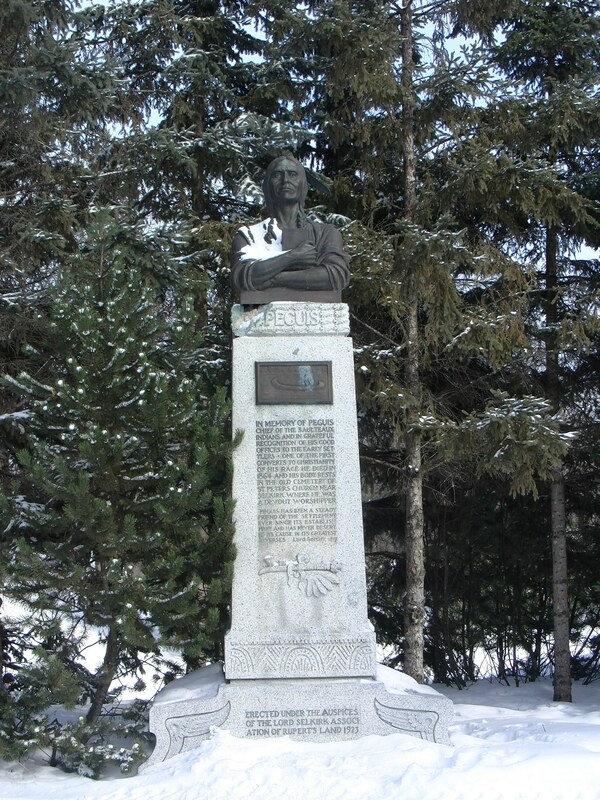 This monument to Peguis was erected in 1923 at Kildonan Park, Winnipeg, Manitoba. Peguis, Saulteaux chief (b near Sault Ste Marie, Ont c 1774; d at Red River, Man 28 Sept 1864). Although a prominent leader of his own people, Peguis became famous for his role in aiding the Selkirk settlers. Upon their arrival at Red River in 1812, he defended them, showed them how to subsist from the country, and later assisted the survivors after the Seven Oaks Incident. 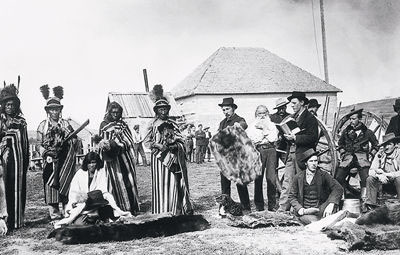 Peguis and his wife were baptized by Anglican missionaries in 1840 and took the names William and Victoria King, their children adopting the name of Prince. 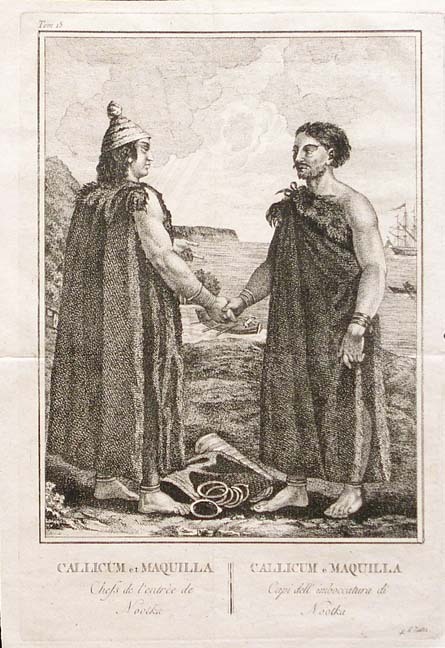 Although he remained friendly with whites, Peguis later became disillusioned because of trespassing on his reserve and violations of his 1817 treaty with Lord Selkirk. Albert E. Thompson, Chief Peguis and His Descendants (1973).